them to discover their leadership possibility, maximize their potential and live a life that leaves a legacy. She is a strong believer that women can have happy and fulfilling personal lives without sacrificing their professional goals and aspirations. She works with dozens of women to help them achieve work life integration so that they can have amazing careers without the feeling of guilt or overwhelm. African American to be elected at-large. She is in her 5th term on council and is currently serving as Mayor Pro Tem. Mrs. Devine is a frequent guest on The Urban Scene with Don Frierson, In Touch with Judi Gatson, WIS News, WLTX and WACH Fox 57 News. She has also appeared on MSNBC, CNN and NPR. She has also been featured in Jet Magazine, Madam Noir magazine, Imara Woman Magazine, and Columbia Regional Business Monthly. James Henry, who was born into heaven on August 28, 2014. Tameika Isaac Devine is a skilled communicator, an inspiration in her community championing many initiatives which have sparked change. She embodies change and her messages serve as catalyst for the strengthening of community, self-esteem, self-value, faith, empowerment and courage as she shares her personal struggles and triumphs. Tameika Isaac Devine is a dynamic speaker with a message to empower and inspire all audiences. her signature, in demand speaking topics include Anything Is Possible If You Just Believe, How to Find Your Strength Through Tragedy, How You Can Change the World, Moves that Motivate, Creating Your Own Opportunities, Leading vs. Leadership and How to Achieve "Balance" in Today’s Busy World. Tameika Isaac Devine earned her law degree from The University of South Carolina School of Law and her B.S. in Management from Hampton University. Think Like A CEO, Act Like A Mom is a perfect blend of sage advice and personal anecdotes by Work Life Integration Strategist Tameika Isaac Devine. In her second book, she explains how working moms can truly have it all. She shares stories from her own personal work-life integration journey that will motivate and empower readers to live an amazing life. She also explains how by implementing simple work-life integration strategies into your daily routine, you can start taking control of your life and create an environment of peace, fulfillment, and satisfaction. This book is not about work-life balance but rather embracing work-life integration. Recognizing that work-life balance is an unattainable goal and that in today’s busy interconnected world, you have to find ways to be successful in all areas of your life without feeling pulled in different directions. 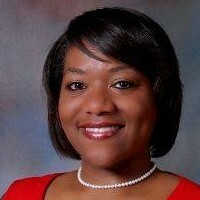 Find out more about Tameika Isaac Devine at http://www.possibilitiesinstitute.com/.